We design, manufacture and import quality, affordable, designer furniture. We are committed to supplying the best quality furniture at the lowest prices to trade customers in the UK. How do we achieve such low prices? Leader Lifestyle has sister companies in the US and South Africa, this helps us to leverage on the large production quantities which lowers the cost of sourcing our furniture, so that’s how we are able to supply you with the lowest prices in the UK. With years of experience in manufacturing and importing, and lifetime relationships with some of the best manufacturers in the world, we are able to negotiate the lowest possible prices to supply exciting furniture to you. So the price is good, but what about the quality? We only deal with manufacturers who have stringent quality controls in place, for every order we place we receive a strict quality control report once production is completed. Our team visits our manufacturers on a regular basis to ensure that the production standards meet our demanding requirements. All our packaging is made especially strong to minimise damages in transit and is suitable for mail orders. Our manufacturers supply some of the major high street brands in the UK, so you can be assured that the style and quality of our furniture is current and competitive. How long do our customers have to wait to get their orders? Most of our furniture is ready to be despatched to our customers so you don’t have to wait for weeks or even months to get great deals. If you believe that what we have said is too good to be true, send us an email or give us a call and we can arrange for one of our sales representatives to visit you at your office/store with product samples and a price list to reassure you of the quality and prices which we offer. We are open Monday to Friday from 8am to 4pm. Pairing creative yet simple proportions for a look that suits modern living. In a versatile pebble grey. Thin profile arms and tapered legs offset the boxy shape of this sofa bed. With a easy to use click clack mechanism, the sofa transforms into a bed in seconds. 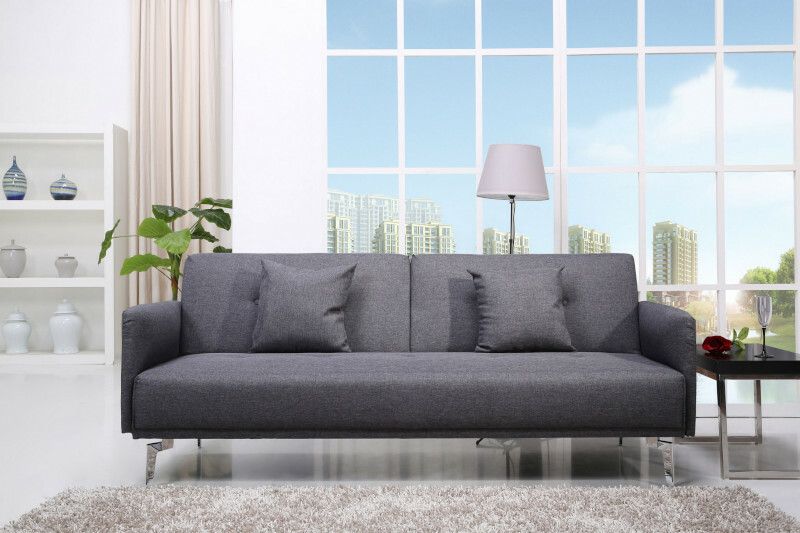 This sofa bed boasts contemporary styling and neat proportions that are great for compact spaces. A contemporary and minimalist sofa that's also ideal for smaller set-ups as an occasional guest bed. Simply fold out to turn into a comfy bed for one or a cosy bed for two. Fixed cushions mean minimal fuss to set up or put back. With a sprung foam seat and back for a comfy medium-firm sit or a relaxing night's sleep. Upholstered in a modern willow grey fabric. A contemporary and minimalist sofa that's ideal for smaller set-ups. Upholstered in sleek, hardwearing PU leather. 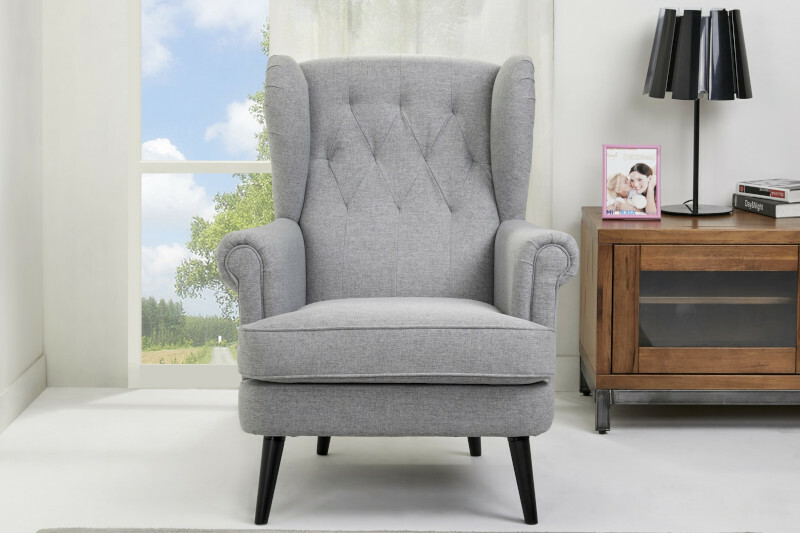 Combining understated styling with real comfort, this is ideal for smaller modern living spaces. A stylish armchair which which can be used as an accent piece and also to compliment any furnitures in any room. This makes a versatile addition to smaller spaces. 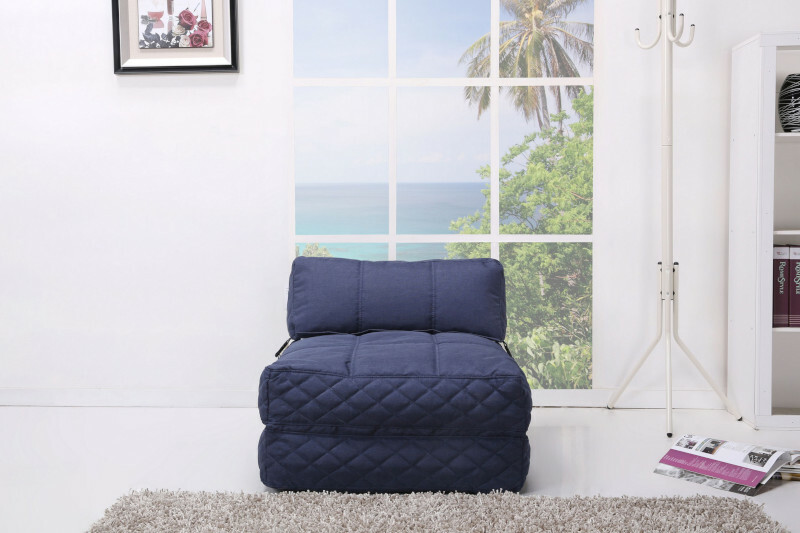 A stylish occasional chair or a fold out sofa bed for the odd sleepover - in a modern, easy to care for blue fabric. Bed down in a flash with this clever design. Simply un-clip, un-zip and fold out to turn the chair into a full-length mattress. With firm, structured foam filling for a supportive sit or sound sleep. Topped off with quilted stitching and headboard detail. Upholstered in high quality, durable fabric with a hardwearing zip. A great family choice. 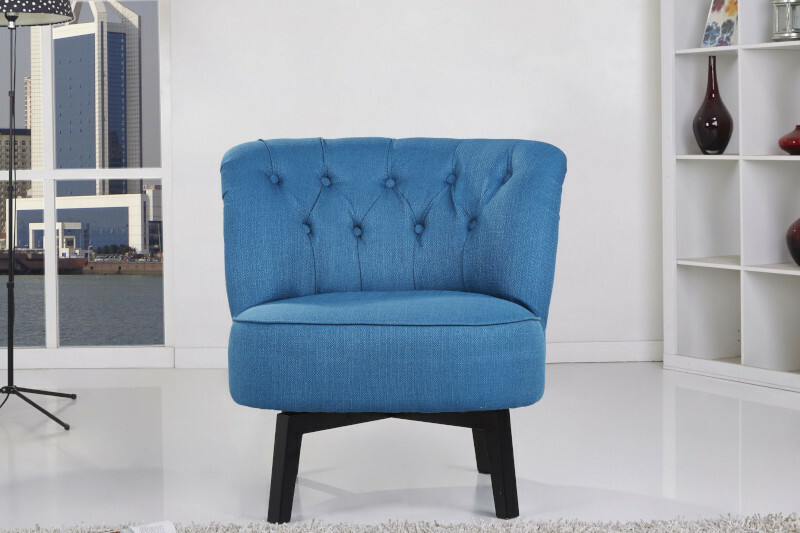 A stilish swivel chair that brings something special to any room.